Wild Bunch Weddings first got to meet Codie and Brent when we filmed their engagement shoot back in September. Lots of fun was had up in the hills of Eungella from photobombing turkeys to fog clouds which created stunning back drops amongst the ranges. On the 15th of October we got to Meet with Codie and Brent again this time when we filmed their wedding day. 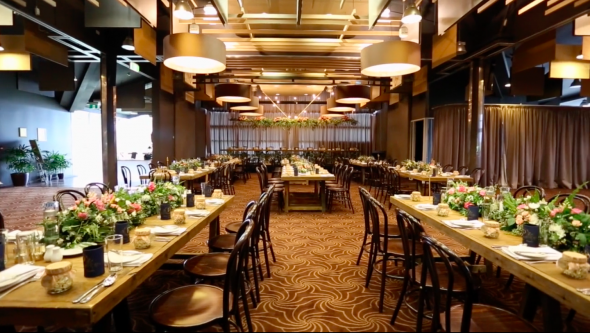 Let us show you their special day. We got together with the boys first, they were cool calm and collective hanging out getting ready in the boys shed. A few beers, a bit of pool and lots of laughs. A beautiful letter from Codie and a stunning fob watch to remind Brent of the time he needed to be there to say their i do’s. We moved onto the girls who were getting ready at the Lanai Appartments. With the girls having their hair done by Casey from Blessed hair and make up by Tiesha Willoughby. 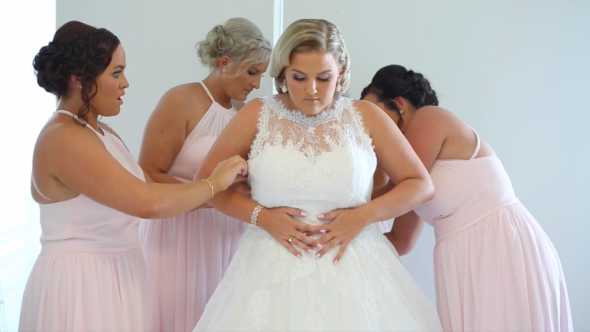 Lots of laughs and a few happy tears it was time for Codie to step into her amazing dress by Pronovias. 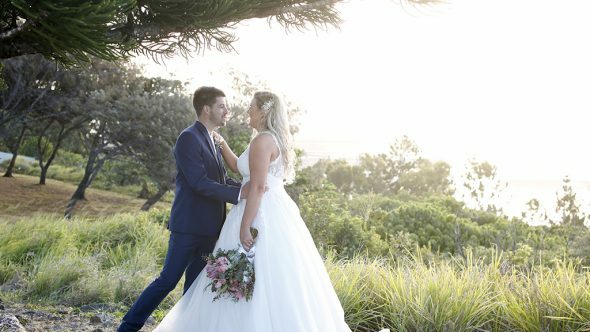 It was time for Codie Parmajama (hehe) to become Mrs Parnicott. 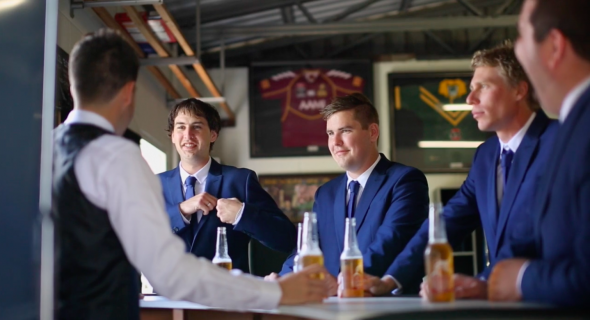 With a stunning back drop at slade point Brent with his groomsmen eagerly awaited Codies arrival. In the arms of her dad she walked down the isle towards the man she was about to marry. 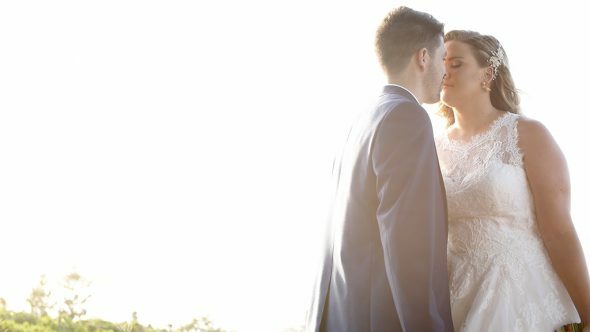 With Forever Yours Marriage Celebrant leading a beautiful ceremony Codie and Brent sealed the deal with a Kiss and for the first time walked back down the isle as Mrs and Mrs Parnicott. After some family photos Russ Benning Photography and us headed around Slade Point to create some forever memories for this beautiful couple. 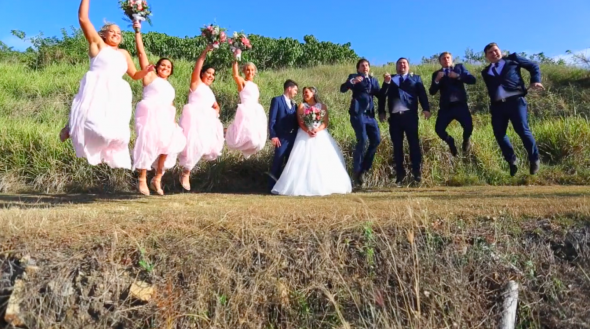 We then headed to their reception which was held at Magpies and decorated amazingly by Starcut flowers where they spent the night carving up the dance floor with great tunes by Mango Junction and celebrating with their friends and family. Codie and Brent, Wild Bunch Weddings wish you both a life time of happiness and thank you again for having us at your beautiful day.